My first book!! 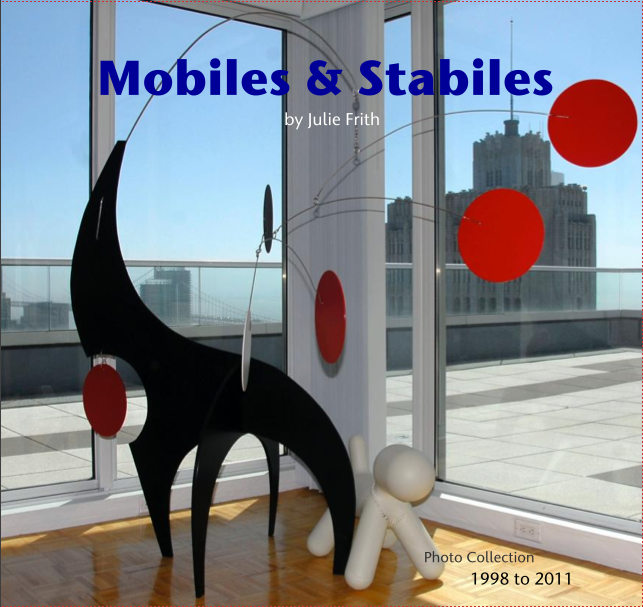 A personal photo collection of all my past (and present designs) mobiles and stabile artsculptures from 1998-2011. 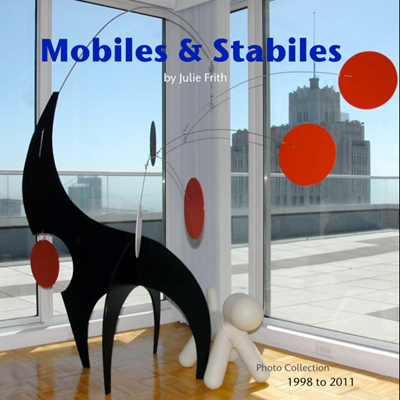 This small 7"x7" colorful collection has 120 pages filled with over 200 original mobile and stabile Frith designs. It's a must-have for the art collector, interior designer, and architect. It also makes a great gift!